Charge your phone anywhere on the go with new Cherry Mobile Powerbank, worry no more on battery low as you can recharge your gadgets using this portable charger. Not just for mobile phone, you can also charge your camera, music player, tablet and other gadgets. 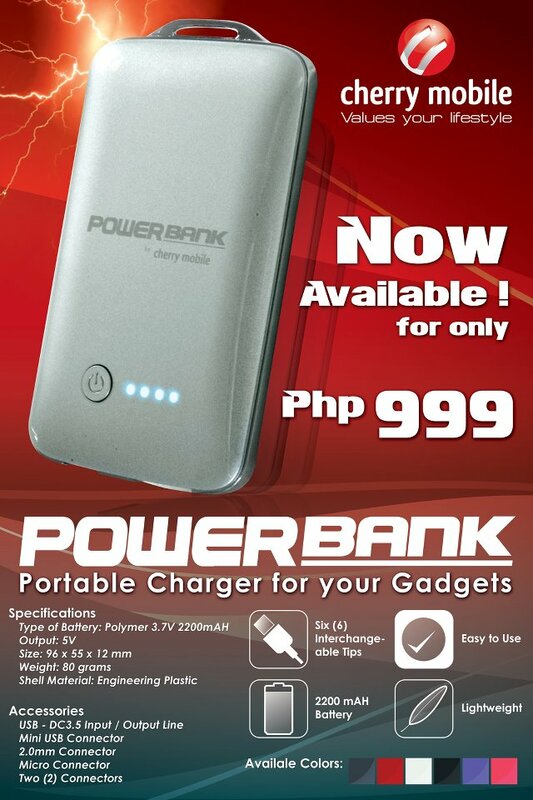 Go to your nearest Cherry Mobile stores, kiosks and retailers to avail this Powerbank Cherry Mobile gadget. 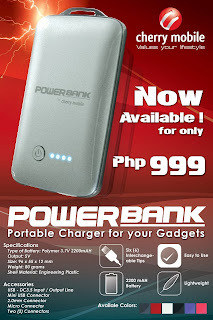 Continue reading below for the features and specs for Cherry Mobile Powerbank portable charger. meron poh ba nyan solar Charger hde na kelangan para i plug sa outlet?